With the next addition of a new tunnel in Seattle (USA), SICE manages more than 2,500 km of roads and 346 km of tunnels with SIDERA, SICE’s Tunnel Management Software, equivalent to a thousand Eiffel towers. 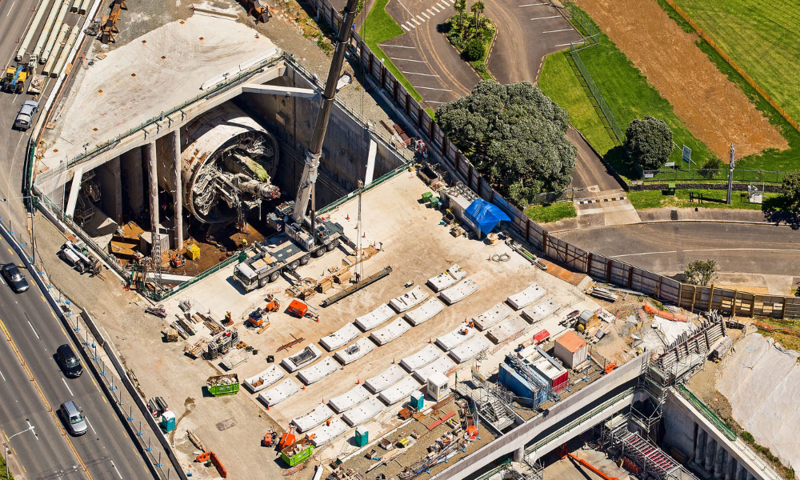 With just over a year in operation, the Waterview Connection Tunnel in New Zealand is one of the best examples of what SIDERA is capable of: more than 63,000 vehicles pass through the twin tunnels each day. Waterview is now the longest and more complex tunnel carried out in New Zealand. Its construction lasted 5 years and more than 10,000 people took part in it, managing to connect Auckland’s Southwestern Motorway to its Northwestern Motorway in a time of little more than two minutes traveling at 80 km/h. But after a year of operation, the maintenance team explains that the tunnel is like an iceberg from which the people who drive through it only see the top. What really makes the tunnel drivable and safe are the specialized systems installed all over it: ventilation, lightning, fire detection, communication networks, variable message signs, CCTV systems, PLC network, etc. All of them, connected and managed from one single intelligent platform: SIDERA. 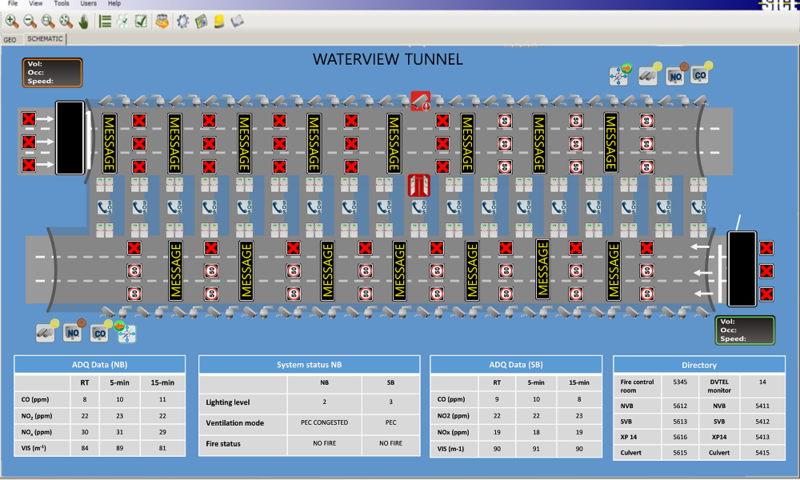 This advanced traffic management system software allows the transportation management centers (TMCs) to control and monitor roadside equipment and incidents. SIDERA facilitates traffic and incident management, provides surveillance, security and emergency management, facilitates electrical and mechanical management and collects and reports data regarding the operation and performance of roadways. The platform can also disseminate traveler information to the motoring public and exchange critical information among agencies. It can also associate and execute a Response Plan with an incident that has been automatically detected based on how it has been defined in the Incident Management System: automatic (plans are executed automatically when the incident is detected), semi-automatic (plans are executed when the incident is confirmed), semi-automatic with timeout (when the incident is triggered, the plan will be executed when a configurable timeout has expired, or the event is confirmed; the plan execution can be cancelled by the operator before timeout expiration) or manual (plans are executed manually). The SIDERA platform is an essential tool not only to ensure the proper functioning of the tunnel, but also to manage its maintenance. Emilio Marquez, SICE joint operation manager at Waterview, oversees operators’ works in the Waterview Tunnel. He arrived to New Zealand in 2010, so he had been involved since the very earliest stages of the project, construction and remains leading the 10-year operations and maintenance contract. SIDERA offers a comprehensive solution for the centralized management of intelligent transport systems (ITS) based on each project’s requirements. The system has been currently implemented in over 60 locations worldwide, from New Zealand and Australia to several tunnels in Miami, Seattle, Madrid, Chile and Colombia.